BACKGROUND: Irritable Bowel Syndrome (IBS) is a common disorder characterized by visceral hypersensitivity and increased intestinal permeability. Stressful events can affect the onset and course of IBS. In rats, stress also induces visceral hypersensitivity and gut hyperpermeability. Mucoprotectant agents such as gelatin tannate and xyloglucan, have been shown to provide protection to the intestinal mucosa and to exert anti-diarrheal effects. On the other hand, prebiotics exert beneficial effect on the gut via a bifidogenic effect into the colon. 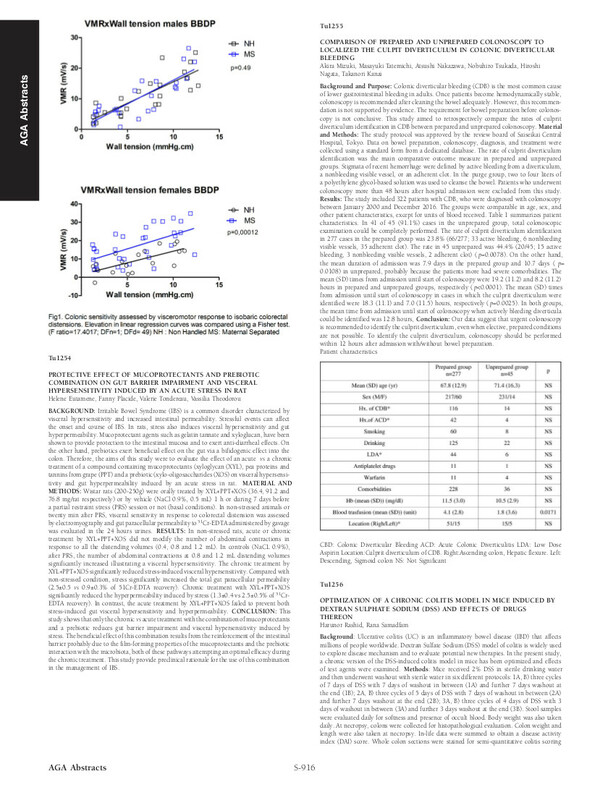 Therefore, the aims of this study were to evaluate the effect of an acute vs a chronic treatment of a compound containing mucoprotectants (xyloglycan (XYL), pea proteins and tannins from grape (PPT) and a prebiotic (xylo-oligosaccharides (XOS) on visceral hypersensitivity and gut hyperpermeability induced by an acute stress in rat. 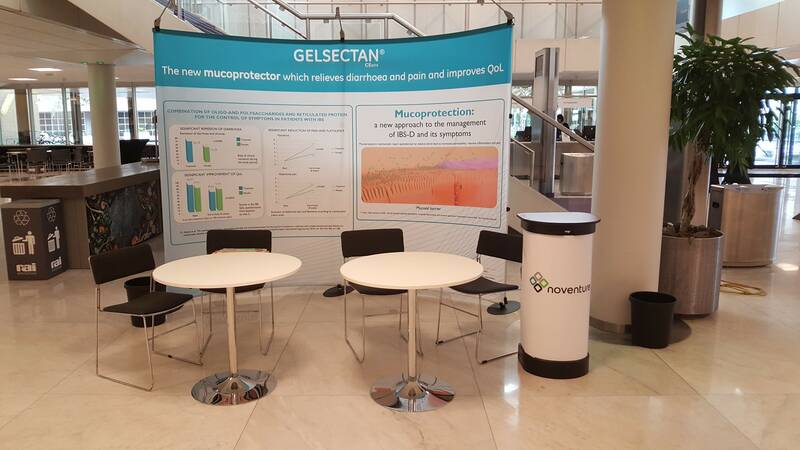 Gelsectan®, Noventure´s new medical device intended for IBS-D, was presented at Noventure´s stand during the 3rd Meeting of the Federation of Neurogastroenterology and Motility, from 29 August to 1 September 2018 in Amsterdam, The Netherlands. Noventure, as part of its ongoing activities in support of the launch of Gelsectan®, participated with a stand at the IBS Days 2018 in Bologne, Italy, May 17 - 19, 2018. This meeting is intended to provide current views and a look to the future on the rapidly advancing field of IBS. One of the lectures was devoted to mucosal barrier and permeability, which is a hot topic among gastroenterologists specialized in IBS management. 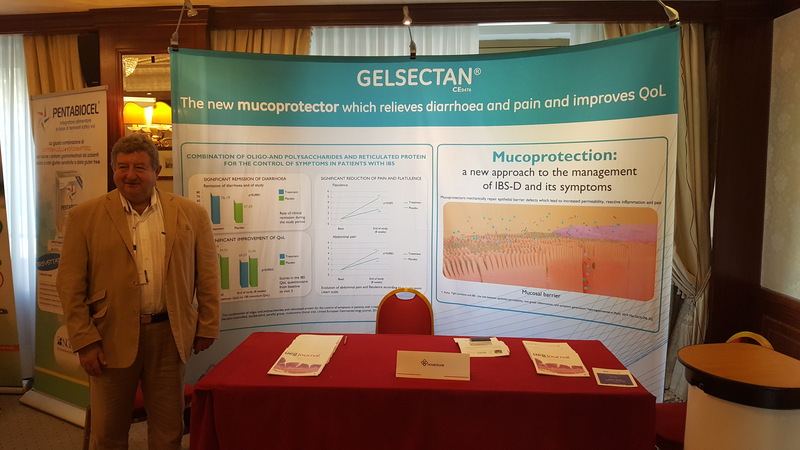 Gelsectan® contains mucoprotectors which improve the resistance of the mucosal barrier and help restore its normal function. It is intended to relieve and prevent IBS symptoms such as chronic or relapsing diarrhoea, pain and bloating.